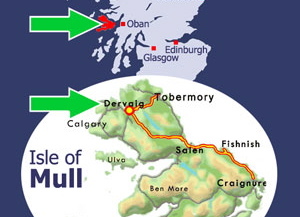 It should be a week of semi-sporadic postings as I’m off to the island of Mull in the Scottish Hebrides for a week of hiking, haggis, and (hopefully) abundant whiskey tasting. I don’t expect the internet to be terribly reliable; after all, I’m traveling to an island off the coast of an island – where the sheep population far outweighs the human one. Stay tuned and I’ll do my best. First stop: Glasgow.